Internet Explorer & Microsoft Edge can be updated via the Windows Update feature. Google Chrome can be updated by clicking on the 3 vertical dots in the top right hand corner, then selecting Help -> About Google Chrome. Firefox can be updated by clicking on the 3 horizontal bars in the top right hand corner, then selecting Help -> About Firefox. Safari can be updated by following the steps on this guide. Second step: If you are using Internet Explorer, please consider switching to Google Chrome. Internet Explorer is no longer supported by Microsoft and used by less than 3% of the population. There are many security flaws in the browser so it would be worth your time to switch to Google Chrome (free download). 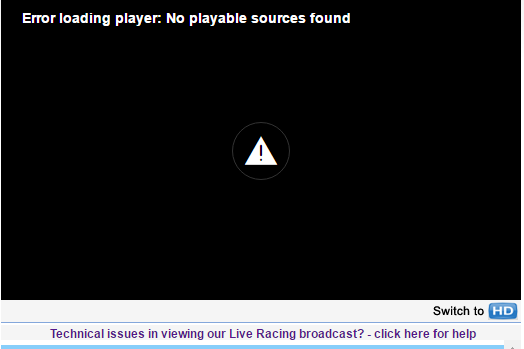 Third step: Due to a recent upgrade from Google on the Chrome web browser, the live video feed may not work automatically and the following error might be displayed on your screen. Click the drop down menu for "Flash"
You can also follow the instructions here to find out "How to enable Adobe Flash Player". 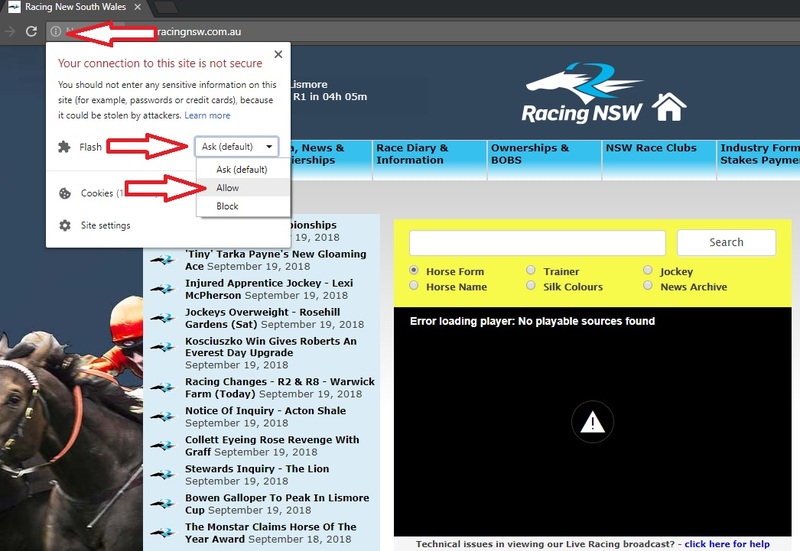 helpdesk@racingnsw.com.au. Please include screenshots and system configuration which might assist us in diagnosing the issue.